Remy Martin V is a recent product by Rémy Martin. This product is an eau-de-vie de vin (direct translation water of life of wine because it's the distilled product of grape wine): Distilled Grape Spirit. The grapes used for Remy V comes from vineyards, then pressed and distilled in the traditional manner using copper pot stills. The slow distillation leads to smaller batches,allowing flavors of fruit and the product's unique aromas. Ice-cold filtration helps to create a smooth & transparent drink. Remy V is consumed on the rocks it or mixed. The bottle was introduced to the US market in 2010, and is only sold in the US. It is not available for sale in the European Union. The price of Remy Martin V is around $45. I tried Remy Clear yesterday for the first time. I mixed it with cranberry juice, which was suggested by liquor store worker. It tasted like Scotch instead of cognac. I am a Remy fan because of the smooth taste. I will try this again. Because its a new kind of REMY, it has to be approved in each state that has that law, just like a new drink would, I bought some in Dallas so I know its in Dallas for sure. I also know its in Chicago. You can order online too, n im spending this much time responding to a stranger lol because REMY V is a really nice and smooth champagne-like cognac, the best so far in 2012! Has anyone tried this in a Martini or dirty Martini? That's my usual way to drink white spirits, and I was wondering how this eau-de-vie stands up against the traditional gin and vodka. I love it.....it taste just like Couvroisier, purchased it in Tampa,Fl. Currently living in Ohio would like to buy some. Where is it being sold? Could someone e-mail me with info. 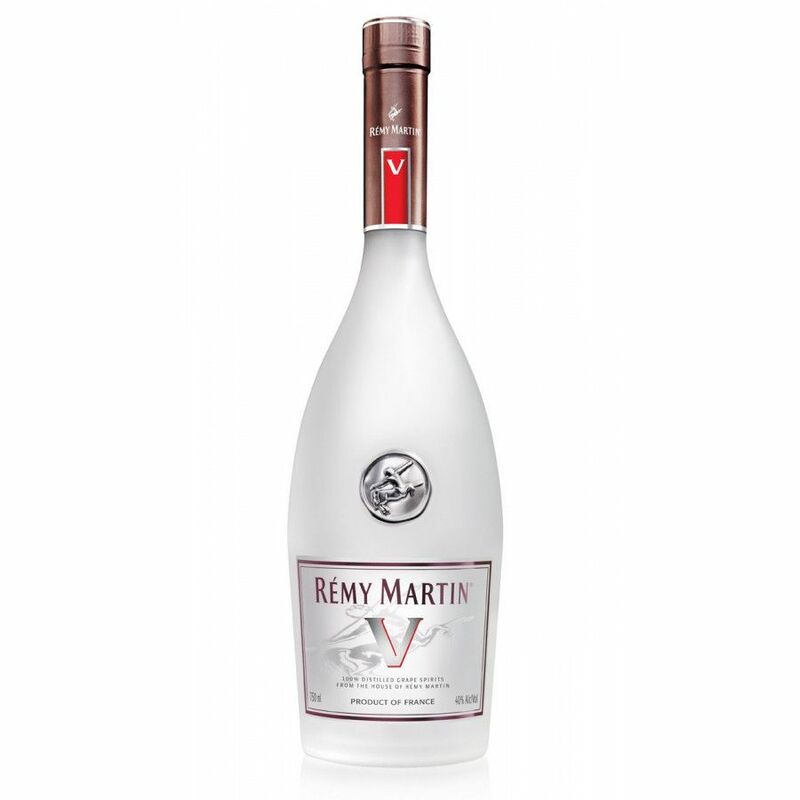 What cities can i buy Remy V at? I tried “V” on a whim a couple of weeks ago. I walked into the liquor store and thought this is a new Cognac, but then I thought, part of the coloring of Cognac comes from ageing in a barrel so how can this be Cognac? BUT, the taste was excellent! I purchased two “nips” (in Mt. Vernon, NY.). I just bought the 375ml bottle to share with a Cognac loving friend of mine tomorrow. I’m going to place the bottle in the frezer and serve it “ice cold”. Incidentally, I usually drink Courvoisier, but I really like this “V”. From Indy…my babe brought a bottle over to me last night waking me up at 2 am to try what very little was left in the bottle. That’s right, it was so intriguing that at 2 am waking up from sleep, I drank it. Instant love affair with Remy V. Made love to the bottle and thanked my babe for introducing me to my new girlfriend. Now where can I find her again? I heard this is still testing in the US. Some bar keepers have it, some sell it under the counter.. I would love to taste it, do you know when it's coming to Europe? As it's not a cognac, but an eaux-de-vie blanche, I am soooo curious!